What are the best secured credit cards for bad credit in the market today? Credit cards have been getting bad press recently, especially the way the piece of plastic somehow succeeds in drawing you to spend more than you should. What follows is a host of charges and a bad credit score. The worst thing is that good credit cards are only available to those with good to excellent credit ratings. Those with bad credit scores are forced to make do with fully secured credit cards. Secured credit cards are associated with bad credit scores – but that is not always true. Since credit cards with the best features and benefits are only available to those with high credit scores, those who have no credit history yet have no choice but to apply for a secured credit card while establishing their credit rating. The credit limit on these cards equal a “security deposit” you make. Thus, you are in effect lending money to some of the banks, although at least two types of secured cards place security deposits in interest earning accounts. Aside from having to put up a security deposit, most secured cards are platforms for a host of outrageously high fees and fines banks can charge ‘legally’. The interest rates charged by secured cards are much higher than those charged by regular credit cards. However, not all cards are the same, and some are great for rebuilding your credit ratings. At least two secured cards offer a credit rating review in as little as 12 months, with the goal of graduating back to regular credit cards. With a little research you can find the best secured credit cards for bad credit that match your requirement. 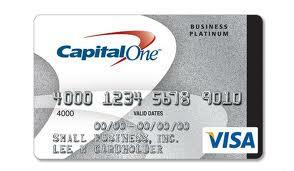 The Capital One Secured MasterCard is one of the best secured cards available. It’s credit limit can be established by depositing anywhere $49, $99 or $200 to get an initial limit of $200. The different rates apply to different credit scores based on the individual’s credit history. This is a big advantage compared to most other secured cards that require a minimum deposit of $300. It charges interest at 22.9% variable APR, and does not charge any foreign transaction fees. At only $29, Capital One charges one of the lowest annual fees. Best of all it provides free access to credit scores, credit report and credit tips. 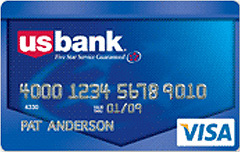 The US Bank Secured Visa is one of the best secured credit cards for bad credit. Interest is charged at the rate of 20.99% and its annual fee is only $35. This secured card is unique in a way that it places your security deposit into an interest earning savings account. In this case, it is clear you are not lending money to the bank. If you have managed to keep your payments on time for at least 12 months, you may apply for a regular credit card. Once approved for regular credit, your deposit and any interest it may have earned is turned over to you. Wells Fargo Secured Visa Card comes in at number three on our list. This secured credit card is made available to all people regardless of credit history, as long as the applicant has not declared bankruptcy in the past year and has no unsettled liens. The cardholders are given a wide range of credit limit, from a minimum of $300 to a maximum of $10,000, which must be fully secured by matching security deposit. Balances are charged at prime rate plus 15.74% and the annual fee is only $25. The Citi Secured Mastercard is loaded with benefits one normally sees offered through regular credit cards, such as car rental insurance, and retail purchase protection. They charge interest at Prime Rate plus 14.99%. Your security deposit is also placed in an interest earning savings account. The annual fee is $29. Citibank is more selective in approving applications for this card. The Bank of America has designed this card to suit customers whose intent on rebuilding their credit ratings. The credit line is established by making a security deposit of anywhere from $300 to $4900. This card charges a $29 annual fee and interest at Prime Rate plus 16.99%. After a year of prompt payments, the customer may request for a review of his credit rating to see if he qualifies for a regular credit card. Once a customer is approved for the issuance of a regular credit card, the security deposit is returned. Which of these secured credit cards featured here is your choice? Apply now and start rebuilding your credit standing.